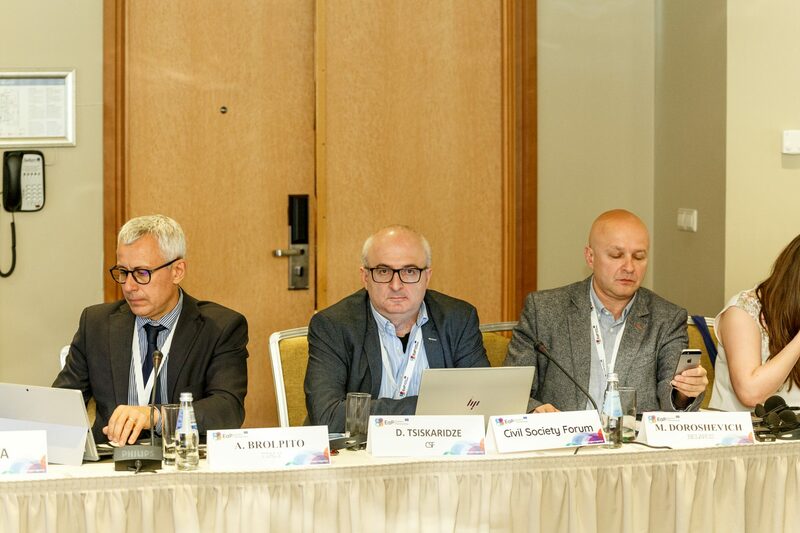 On 11-12 June 2018, the Workshop of the EU4Digital “eSkills Network” took place in Riga (Latvia) under the Platform 2 of the Eastern Partnership “Economic Integration and Convergence with EU Policies” and the Panel on Harmonisation of Digital Markets (HDM). 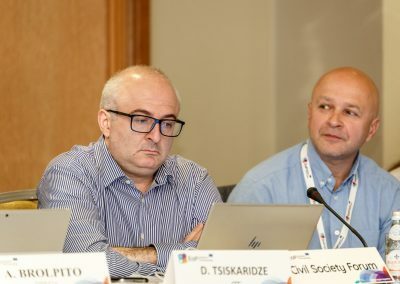 David Tsiskaridze (Georgia) represented the Eastern Partnership Civil Society Forum at the workshop, which main goal was to share experiences and best practices among EaP partner countries and with the EU in fostering digital skills development for SMEs, as well as assess progress regarding the Network’s action plan. 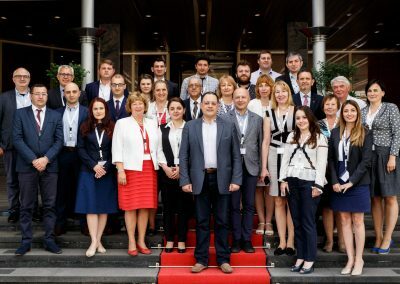 The first day of the workshop was fully dedicated to defining and development of a common digital competences framework for SME’s and micro enterprises in the EaP region, based on similar EU efforts. 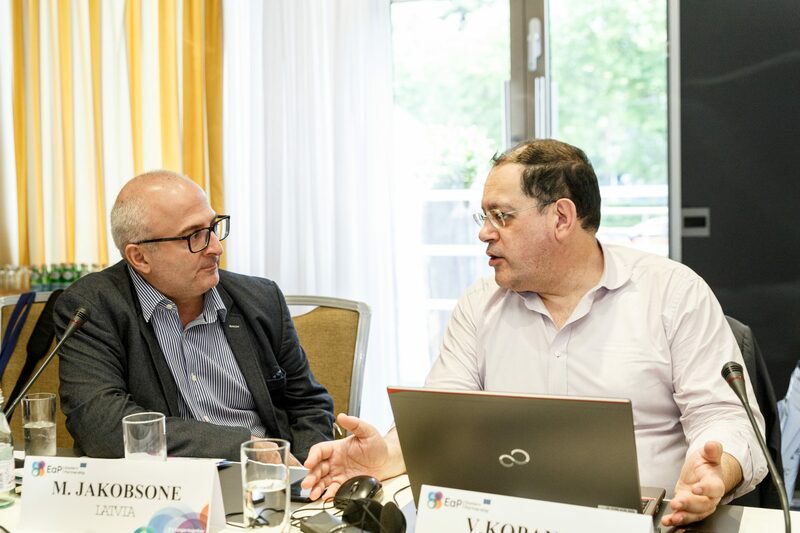 The second day, the workshop addressed other EaP digital skills network activities, the multilateral pilot project proposals of EaP partners and the Work plan for the second half of 2018. 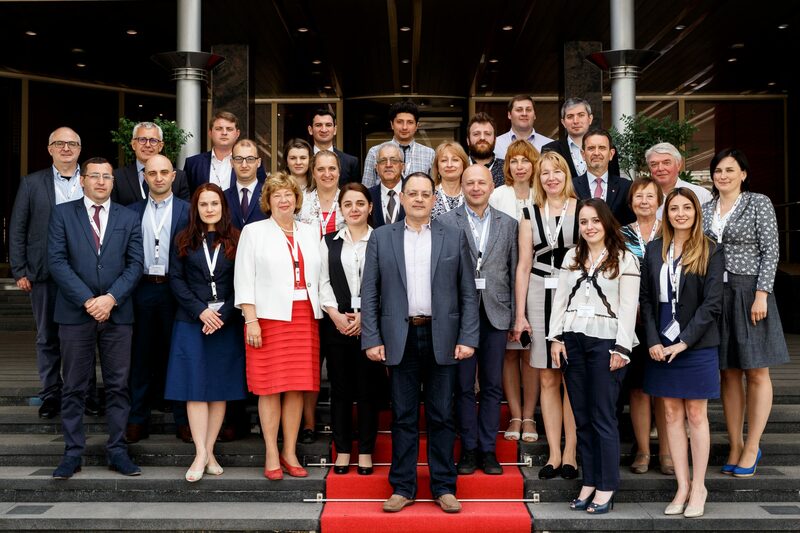 EU Member State experts were also invited to present Digital skills development in the EU. 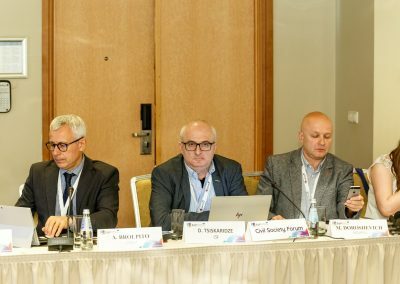 In addition, this workshop aimed to provide an update on the state of play in this area in EaP partner countries and in the EU after the 2nd EaP Ministerial meeting on the Digital Economy in Tallinn on October 2017; present the work progress of network’s action plan for 2018-2020; and discuss the multilateral pilot project proposals of EaP partner countries in this area that are suitable for support by EU funded actions, notably by EU4Digital. 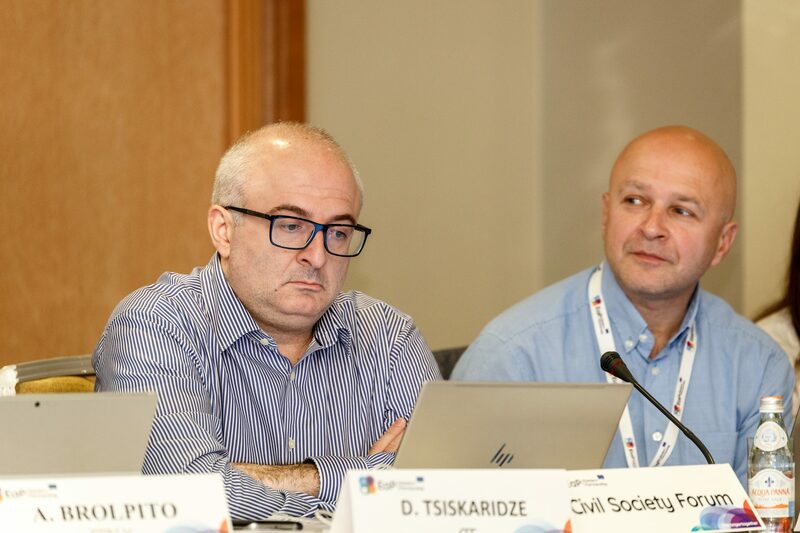 During the event, Mr Tsiskaridze distributed the EaP CSF position paper on harmonisation of digital markets (HDM). 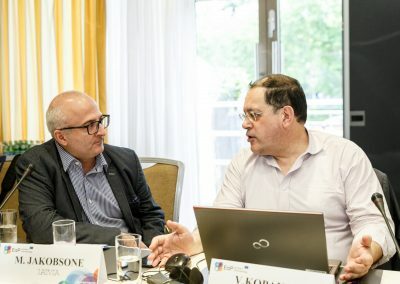 In the document, civil society advocates for setting up an e-Competence Framework in EaP partner countires; monitoring the establishment of national digital skills&jobs coalition in EaP countries, using as a basis on the EU’s digital skills&jobs coalition model; fostering digital leadership and digital skills for value creation; and measuring the impact of the digital transformation on EaP labour market.